A holiday beside the sea is something many of us dream about. Waking up on a summer’s day and listening to the distinctive sounds of seagulls circling high in the sky above, waves ebbing and flowing across sandy beaches, fishing boats chugging in and out of the harbour, are sounds that will evoke memories of a Devon seaside holiday for years to come. Our coastal cottages in Devon are all within 3 miles of the sea, offering you a wide selection of holiday cottages from those with sea views - close enough to watch the waves whilst sipping your morning coffee - to others in a countryside setting with parking and plenty of space for children to play, yet close enough to be within a short car journey to the nearest beach. 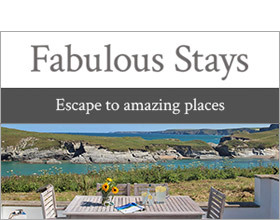 Whatever your preference we are sure to have the perfect holiday cottage in Devon for you.